Office Location: South San Francisco, CA. Employees can also work full time from this office. - Other amazing robotics-based challenges! You are looking for the place to stretch yourself, able to work within a senior, highly performant product team, and aren’t afraid of a challenge. You are a self-starter with the motivation and skills needed to effectively operate on your own time in your own way while being responsive to the needs of your teammates and the team as a whole. You love working on the metal and/or deep in low-level or scaled algorithmic code. You are effective at quickly understanding and operating on algorithms taken from research in AI, Robotics, and Vision, or you have have experience with sensors, motors, and other devices. You are comfortable working alongside experts in these areas, or are an expert yourself. You have a proven track record of delivering ideas into working prototypes at high velocity. You have commercial/agile development teaming experience. You've architected some serious systems and may have even been a team lead. These roles permit flexible working hours and are 100% remote. You will work in a scrum-based agile development cycle. Whether you prefer contract work or a permanent position, we can accommodate you. You will be working alongside founders, researchers, and engineers to design and build first-generation robotic solutions for mass consumer adoption. Aeolus Robotics was founded to bring the first generation of household robot assistants to life, and to market. Integrating Taiwanese manufacturing prowess and Silicon Valley AI genius, we are breaking ground in general-purpose consumer robotics with capability in unstructured “human” spaces. Our CTO, an expert in AI and machine learning, was a member of the DARPA team that conceived and managed the Watson AI project. Still operating largely in stealth mode, we’ve got additional key members and breakthrough technological approaches to ensure success in this challenging field. Roles permit flexible working hours and can be 100% remote. Contract work or a permanent position: we can accommodate you. Build first-generation robotic solutions for mass consumer adoption. 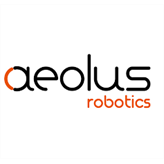 Want to get notified about new jobs at Aeolus Robotics?